The Supermarket Cash Register brings the supermarket into your own home! Use the real microphone to call a friend to help you with the groceries. Put your groceries on the checkout belt and use cash or swipe the credit card to pay! 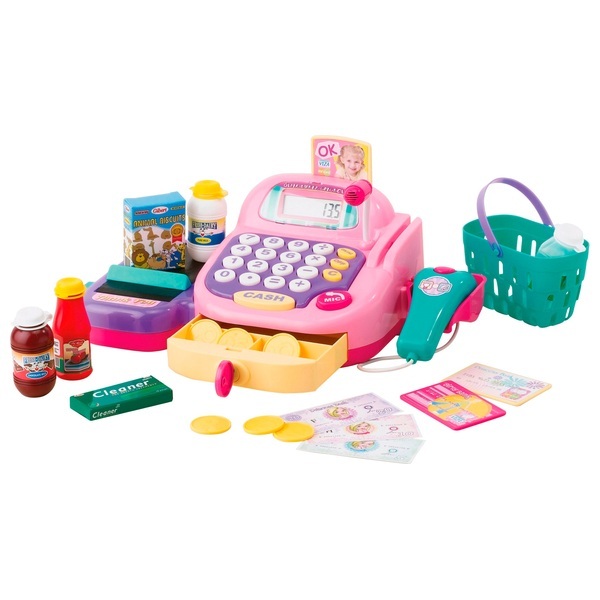 The Supermarket Cash Register includes a play scanner to scan your groceries, play groceries, small shopping basket and play money. All functions on the Supermarket Cash Register come with realistic sounds that will continue to make role- playing fun.